What is widely prevailed all over the world now under the general name of judo means the Kodokan Judo which Prof Jigoro Kano founded in the 15th year of the Meiji era (1882) as a means of realizing his new ideal by systematizing the theory and techniques of the traditional jujutsu of various schools. Prof. Jigoro Kano who was small and weak by nature began to practice jujutsu at the age of eighteen for the purpose of making himself not to be underrated by others. 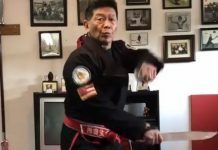 He learned “Atemi-waza” (striking techniques) and “Katame-waza” (grappling techniques) of Tenjin-shin’yo Ryu style jujutsu and “Nage-waza” (throwing techniques) of Kito Ryu style jujutsu. Based upon these he mastered his knowledge deeper and wider borrowing strong and reasonable points form other schools. Besides he invented new techniques of his own. He came to feel sure that jujutsu is useful not only for the training of competitive sports. but also for the cultivation of sound character. Thus, Prof. Kano, adding new devices to his knowledge of traditional jujutsu which was a precious cultural asset of Japan founded the Kodokan Judo, with physical education, competition and moral training as its objective. Prof. Kano established the Kodokau in 1882. At the time the dojo was only 12 tatami mats wide and the number of followers was as small as 9. 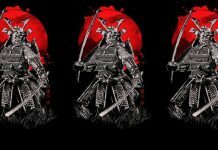 The jujutsu was replaced by judo for the reason that while °Jujutsu” means techniques, “Do” means road which has two meanings of a road we walk on and a path of life or moral doctrine. As the means of teaching he adopted Randori, Kata. lecture and catechetical method. Adding physical education to intellectual training and moral culture, he considered these 3 the main aspects of education. Harmony of these 3 will make the ideal of he education through judo. 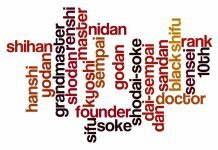 Around the 20th year of the Meiji era (1887), judo had dominated over jujutsu and was sweeping over the country. The theory of win and loss was generalized on the basis of reason. “Ju” in judo was considered to mean “in” in the phrase that says “Ju” (gentleness) overcomes “Go” (stiffness). All waza (techniques) must be reasonable and scientific. Reasonable waza doesn’t put a strain on one, has great effect on improving the physique and is excellent as a means of competition. In order to develop reasonable waza, it is best to resort to randon in which `Tsukuri’ (management of body for preparation of attacking) is practiced in Sizen-tai (natural posture). 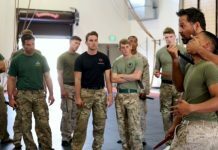 The object of training is to be instrumental in physical. intellectual and moral education. 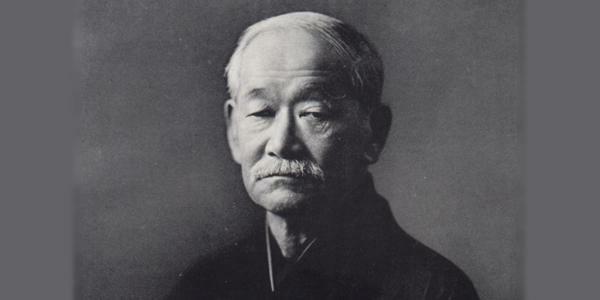 Prof. Kano said in the 43rd year of the Meiji era (1910) that the theory of cultivating energy was to take up the method to increase mental and physical ability by storing them up as much as possible. He also said that its good use is to cultivate and use human energy for good and that the theory can by acquired through judo training and may be applied to all aspects of life. Before long Prof.’s view of Judo came to form two great guideposts of “Best use of one’s energy” and “Mutual welfare”. One can’t hope to understand “Best use of energy” and “Mutual welfare” without knowing his idea of judo. 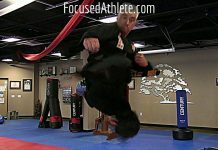 At the initial stages, primary importance of judo were attached to “Do” (road) and techniques were considered concomitant, in a word, a means to get into “Do”. Besides the win and loss, therefore, a serious view was taken of its applicable facets. The theory of win and loss was the spiritual foundation. From around the 20th year toward the 30’s of the Meiji era (1887 – 1906) the theory of win and loss was taught to obtain a win by dint of the theory of “Ju”. in which one utilizes the opponent’s strength without acting against it. Prof. Kano said the theory can be applied not only to competition but also to general human affairs. It was not long before, however, that he came to feel it difficult to explain the technique only by the theory of “In”. His idea progressed to the principle of “Good cultivation and use of energy” and finally in 1922 to the slogans, “Best use of energy” and “Mutual welfare”, which he announced at home and abroad. The theory coherent in the methods of attack and defense in judo is “to work mental and physical strength most effectively”. This principle could be applied not only to competition but also to everybody and the society in general. In a word just is not merely a means of “Best use of energy” to be applied to attack and defense, but it was the name of the road of “Best use of energy” which would be brought into practice of everything in life. Prof. Kano left his last teachings to the effect that “Judo is the way to use most efficiently one’s mental and physical strength. 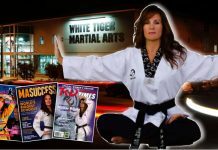 By training, one should discipline and cultivate his body and spirit through the practice of techniques for offense and defense, thereby to master the essence of this way. And. by dint of these means, it is the ultimate goal of judo to build oneself up to perfection and benefit the world”. “Best use of energy” and “Mutual welfare” is the condensed version of these teachings. While talking about the relation between “Best use of energy” and “Mutual welfare”. Prof. Kano said the former goes ahead of the latter. “Best use of energy” is the basic principle of technique as well as that of social life. We can say these two slogans ultimately mean the same thing. Prof. Kano was an excellent calligrapher. Chinese characters (Best use of energy) and (Mutual welfare) are printed here just as were written by him with a brash and India ink. His handwriting is considered to be the highest reach of calligraphy. When we cast our eyes on the Prof.’s’ writing, we are impressed with its artistic skill and feel as if we heard him speak. It makes us realize again the essential qualities of judo and its international significance. It reminds us of his great contribution toward the elevation of cultural standard and the mutual prosperity of mankind. and gives us a renewed sense of duty.